Amalgamation nation: Is Ontario headed for more ‘megacities’? As news emerged of a coming regional review of municipalities by the Ontario government, Toronto mayor John Tory was in the midst of meeting with mayors from around the Greater Toronto-Hamilton Area. The Progressive Conservative government, led by Premier Doug Ford, has announced its intention to review nine of the province’s upper-tier municipalities – upper-tier meaning the higher level of local government in Ontario, each of which consists of various lower-tier municipalities (towns or cities). Regardless, the announcement has invoked fears that Ontario’s municipalities are inevitably headed towards further amalgamation under Premier Doug Ford’s Progressive Conservative government, especially considering the provincial government’s actions last July. Back in July, in a move aimed at increasing efficiency and reducing the size of government, the Premier announced that he was planning to cut the size of Toronto’s city council nearly in half from 47 to 25. 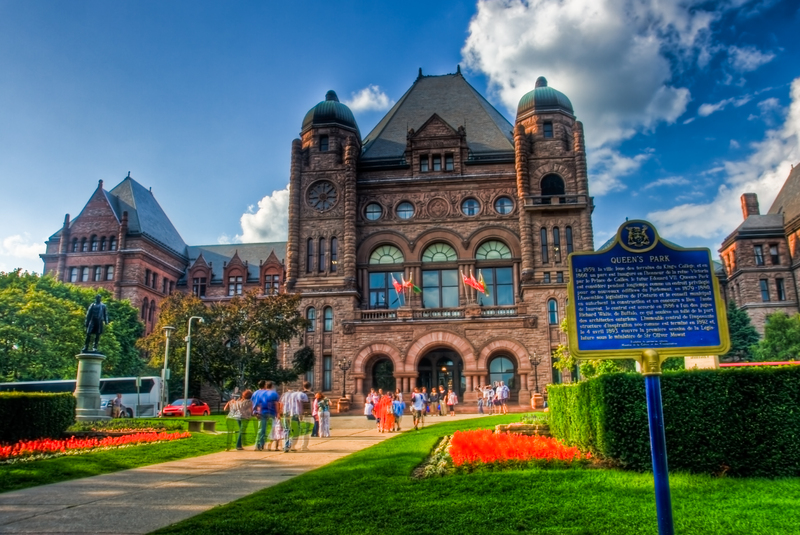 While the move faced widespread opposition from both the Ontario New Democratic Party official opposition as well as Toronto city councillors, the legislation was ultimately passed and Toronto saw the election of 25 councillors in October. At the time, the proposal largely came as a surprise to many, including the likes of Mayor Tory. Now, with that saga still fresh in the minds of Ontarians, the more recent news of a forthcoming review of regional municipalities does not seem to come as a surprise for many. In a later interview, Ward went on to state strongly that “what we really need from the province—actually—is for them to get out of our way”. Others, such as Mississauga Mayor Bonnie Crombie, apparently welcomed the move – proclaiming that it would allow her lower-tier municipality to “control its own destiny” free from the control of the upper-tier Regional Municipality of Peel, which also includes the City of Brampton and Town of Caledon. Crombie, as far back as 2016, has advocated for Mississauga becoming a single-tier municipality, in the manner of Toronto or Ottawa, independent of Peel Region. Such a move has also been favoured by no other than Hazel McCallion, well-known former Mayor of Mississauga and Crombie’s immediate predecessor. Under McCallion, Mississauga City Council went as far as passing a motion that would turn Mississauga into a single-tier municipality. Analysts, however, are quick to warn that the regional review would likely result in vast, further consolidated municipalities, against the wishes of those in Crombie and McCallion’s camp. The consolidation of Peel Region into a single-tier authority overnight would result in the formation of Canada’s third largest municipality in Canada – larger in population size than Calgary, Alberta. Ironically, offered a position to serve as an advisor to Ford on municipal issues, McCallion went on to turn down that request. Could fear of appearing complicit in Peel’s consolidation be a driving factor? That scenario would immediately remind avid followers of the Ontario politics of 1997, during the Mike Harris Progressive Conservative Government. Preceding the 15-year hegemony of Ontario Liberal Party rule, Harris forced through an amalgamation of upper-tier Metropolitan Toronto’s six lower-tier municipalities. Toronto, East York, York, Etobicoke, Scarborough, and North York now all came under the single-tier City of Toronto–dubbed by critics as the ‘megacity’. But Mr. Harris did not stop there: under his premiership, Ontario went from 815 to 447 municipalities. While some studies have refuted the proposed benefits of Mr. Harris’ amalgamation, namely cost-saving, the former Premier’s footprint on the province is undeniable. So, to beg the question, is Ontario headed for more megacities? If so, consolidation will surely be seen to have become part and parcel of the Progressive Conservative agenda. Critics of amalgamation, the process of merging smaller administrative areas under one regional umbrella, are forceful and plenty. On the same day that news of a coming regional review broke, Ontario NDP Municipal Affairs critic Jeff Burch immediately released a statement from Queen’s Park, explicitly touting concern that “the Ford Conservatives are planning to use the regional review as a pretext to impose amalgamation on municipalities,” while also referring to Mr. Harris’ “forced amalgamation”. Nevertheless, the province is moving forward with the review, while will include consultations with councillors and stakeholders from the affected regions starting in the Spring. The government has also chosen two special advisors, Michael Fenn, a founding CEO of Metrolinx and deputy minister under three Ontario premiers, and Ken Seiling, former Waterloo regional chair. The two picks do not appear to be particularly controversial: Seiling is a recipient of the Queen’s Diamond Jubilee Medal, and Fenn is a lifelong public servant. Furthermore, both have years of experience in regional government and have not ruffled any feathers of yet. In total, the review will encompass exactly 82 municipalities, with recommendations to be submitted to Minister Clark in the summer. If analysts are correct, and Ford’s government follows a model of consolidation, Ontario’s residents should be bracing themselves for further amalgamation, whether they like it or not.